The Georgia Institute of Technology (GT) and the Korea Advanced Institute of Science and Technology (KAIST) have announced dual degree programs in electrical and computer engineering (ECE). The new programs will be offered at two campus locations: GT's main campus in Atlanta and at KAIST in Daejeon, Republic of Korea. Undergraduate students may earn either a bachelor of science degree in electrical engineering or computer engineering from GT in tandem with the bachelor of science degree in electrical engineering from KAIST. While in the dual undergraduate degree program, students spend two years each at both GT and KAIST. For the master's dual degree program in ECE, students spend two semesters each at both institutions. Participating students must satisfy the graduation requirements established by both universities in order to earn degrees from both institutions. One of the goals in the strategic plan for both GT and KAIST is to become a global university. We feel that these dual degree programs will help prepare our students to become leaders who will contribute to cultural, political, educational, economic and high-tech concerns in their home countries. In addition, collaborations between the two institutes will create opportunities to educate students who possess the skills for excelling in a dynamic global environment. Contact Prof. Lim to notify KAIST and obtain the application package. Get admitted to GT as a freshman or transfer student first. Then contact Prof. Lim. Apply to GT as an international transfer student. If admitted, no other applications are needed. KAIST students applying to GT: these students are considered as international transfer students and need to satisfy the requirements shown on this website. You are to provide course transfer evaluation documents for English and History courses taken at KAIST as part of the application. GT students applying to KAIST: Contact Prof. Lim. KAIST students applying to GT: must meet all admission requirements of GT-ECE shown on this website. GT-ECE requirements: students are to satisfy the requirements shown on this website. KAIST-EE requirements: students are to satisfy the requirements shown on this PDF document. Both schools accept on-line applications only. Note that these dates change without notice, so please check related websites to obtain the most up-to-date dates. Due to the similarities between the undergradaute classes offered by GT and KAIST, most of the course credits are transferable except for a few classes in Engligh and History. KAIST student may transfer up to 6 credit hours to be applied to GT-ECE MS degree. GT student may transfer up to 9 credit hours to be applied to KAIST-EE MS degree. The non-thesis option of GT-ECE MS requires two semesters of full time study (24 credits) plus six additional credits to complete a minimum of 30 credit hours of course work. The non-thesis option of KAIST-EE MS requires two semesters of full time study (24 credits) plus 9 additional credits to complete a minimum of 33 credit hours of course work. Students pay tuition and fees to the home school. In case the number of Dual Degree students attending GT and KAIST is unbalanced each semester, the surplus students pay to the attending school. Students must demonstrate that they have the financial resources to study for two semesters in the U.S. and in Korea as part of the normal visa process including costs of food, housing, books, supplies and health insurance. There is no tuition, and on-campus housing is fairly affordable. Complete a Participant Profile form providing demographic and emergency contact information to the Office of International Education at Georgia Tech. Register for "Foreign Studies 4000" for each term abroad (i.e. for each term that is counting in the exchange balance for the KAIST dual degree). 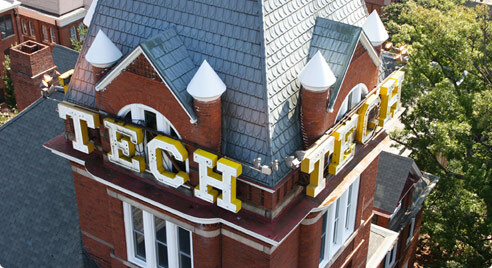 Submit a "Verification of Enrollment Abroad" form to the Office of International Education at Georgia Tech within 3 weeks of the start of classes at the host university. Submit an "Assumption of Risk and Release" form to the Office of International Education at Georgia Tech prior to departure. Pay regular, undergraduate level, in-state tuition and fees (plus an additional $250 fee if out-of-state student) for each term of study as an exchange student. These costs must be paid to the GT Bursar prior to the start of each term. Pay for insurance that GT OIE will obtain on behalf of student. Cost is approximately $150 per semester. Insurance must be paid to the GT Bursar prior to the start of each term. Consult with Korean Embassy or Consulate about visa for study in Korea and complete paperwork and process for obtaining appropriate visa (if not a citizen of Korea). If an international student at GT, student should confer with International Student Advisor about their U.S. immigration status for times that will be abroad. Provide orientation materials to the students. Ensure student is coded in Banner so they can register for FS 4000. Prepare Verification of Participation in a Study Abroad Program on behalf of the student and send to Financial Aid (for students who have aid). Ensure that correct tuition, fees, and insurance charges are uploaded to student's Bursar account. Obtain insurance (comprehensive medical insurance as well as evacuation and repatriation insurance) on behalf of the student valid for the duration of the student's term(s) abroad. Provide accurate estimates to OIE for academic costs associated with participating in the program. Liaise with partner institution on behalf of student, including application to KAIST and other admission and enrollment matters. Provide GT paperwork to student that may be needed to obtain visa. What is the difference between dual degree program and student exchange program? It is to be noted that dual degree programs are different from student exchange programs. Under dual degree programs, students obtain two degrees from both schools after satisfying addmissions and graduation requirements of both schools . On the otherhand, student exchange program does not offer two degrees. Compared with attending two schools separately, dual degree programs take considerably less time to obtain two degrees. This is mainly because of the course credits transferable between the two schools. How many semesters do students spend in each country? GT students participating in the dual BS degree program will spend their first and fourth years in Atlanta and their second and third years at KAIST. KAIST students spend their first two years in Daejeon and the final two in Atlanta. For the dual MS program, GT students will complete their first year at GT and second year at KAIST, while KAIST students will complete the first year at KAIST and second year at GT. Which visa will KAIST students be on? J1 visa (not F1). In general, the visa can be extended until the students finish the degrees within a reasonable time (around 2 years). I am an international student at GT. What kind of tuition do I pay to where? You pay in-state rate plus small fee to GT while studying in Korea. 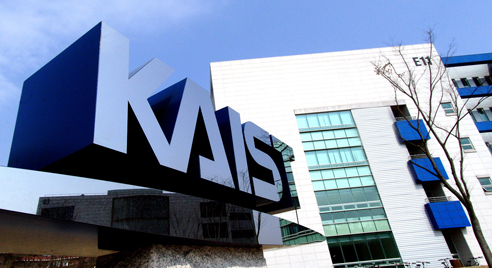 Do KAIST students need WES service to transfer courses to GT while applying for the program? No. You do not need any third-party service to re-evaluate courses taken at either school for course transfer purpose. However, there are certain courses that are not transferable, including English and History classes. I am a high school student interested in this program. If I want to apply for this program, should I apply during the admission process? Or do I have to apply after once I get in? What kind of advantage or disadvantage students in this program gain compared to those who spend 4 years in Georgia Tech or KAIST? You first have to be admitted to either GT or KAIST. Then you apply after finishing the first year (GT students) or two (KAIST students). To make a long story short, compared with GT-only or KAIST-only, our dual degree, we believe, is appealing to both countries in job market, graduate schools, etc.